This picture shows the sky around multiple star Gliese 667. 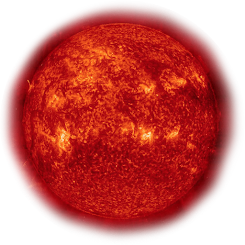 The bright star at the centre is Gliese 667 A and B, the two main components of the system, which cannot be separated in this image. Gliese 667C, the third component, is visible as a bright star, very close and just under A and B, still in the glare of these brighter stars. The very subtle wobbles of Gliese 667C, measured with high precision spectrographs including HARPS, revealed it is surrounded by a full planetary system, with up to seven planets. Note that this image was assembled from two photographic plates taken years apart through different coloured filters. During that time, the motion of the nearby stars Gliese 667AB and C was sufficient for them to appear doubled in this picture, with one red and one blue image of each star. 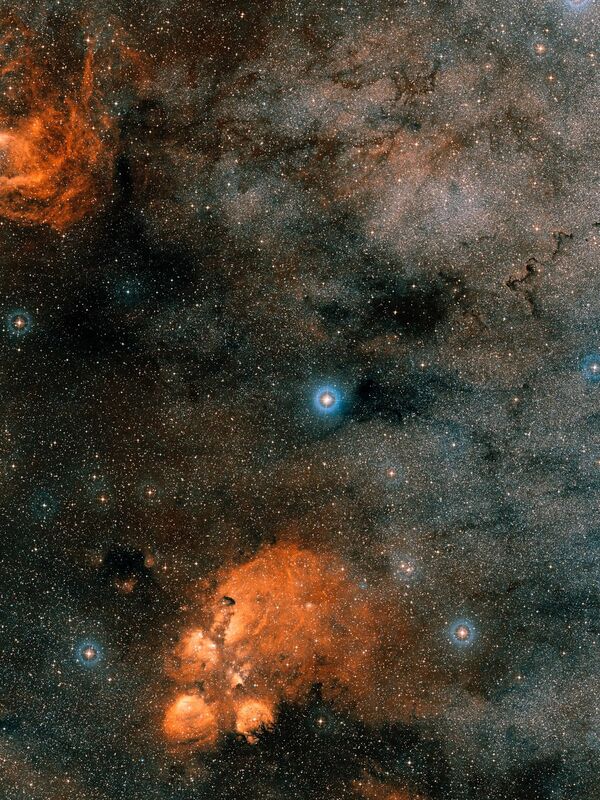 This picture also shows two regions of star formation, much further from Earth than Gliese 667. At the upper-left NGC 6357 is visible and towards the bottom of the picture NGC 6334 (The Cat’s Paw Nebula).